Is your current deck or porch in poor repair? Do you desire a deck or porch and do not have one? 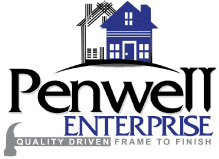 Penwell Enterprise specializes in building and repairing decks. From small stoops to large spacious decks perfect for outdoor gatherings. Using only the highest quality materials available, Penwell Enterprise will be sure to make your dream deck a reality.